Dan performed for a private party we hosted in our back yard and he was phenomenal! All our guests raved about him and kept telling us how fantastic he was and we couldn't agree more. Dan is not only a wonderful musician but also a very nice guy and a welcome addition to any party or event. We highly recommend him! Dan made my 50th birthday fantastic! Thanks to him, the party was a huge success. Everyone who attended said the music MADE the event. It was fun, lively and interactive. I wish we could have him playing on the patio every Sunday afternoon. He even brought along Kristin Major as a surprise addition- and her voice is great! We love these guys! Dan Quinn is one of the best entertainers in the area. I had so many special requests and he had no problem finding a way to make each and ever one of them happen. He learned new songs for our first dances and even met my wedding guests at the chapel to walk and play guitar with them all the way to the reception venue. His involvement in my wedding reception made the night more than perfect. Every moment of my wedding reception was filled with a different kind of music to match the mood. My wedding guests raved about the music! Thank you Dan for making my wedding so very special! Every year the Tau Chi chapter of Phi Gamma Delta at TCU hosts our Casino Night philanthropy benefiting the USO. We were very fortunate to have the Dan Quinn Band back for a second time at this event. Dan, being very organized and professional, was great to work with from our first contact up to the day of the event. He did an awesome job performing, as he provided a mix of songs, and he ended up having everyone dancing, clapping, and singing along with him throughout the night. This was especially impressive, as the crowd was very diverse; ranging from older alumni to college freshmen. The event was a huge success, and a lot of that can be attributed to Dan. I highly recommend the Dan Quinn Band. Dan, thank you for performing at our customer event in the Miller Lite Club at AT&T stadium. The night was a huge success and you were fantastic! Everyone was raving about your talent. You did a wonderful job and played a great blend of song selections to get the crowd up on their feet. Thank you! Dan sings, loops and layers beats, chords, and accompaniment, plays guitar, keyboards, tours the world on motorcycles, cliff dives for pearls with an oyster blade in his teeth, and likes long walks on the beach.. He also DJs on the breaks. This would be like having Christina, Whitney, Mariah, Nick Lachey, a Disc Jockey, and the world’s most interesting man all at once. Dan Quinn rescued my party due to a last minute cancellation and was not only quick to respond, he was accommodating and the crowd really enjoyed his music. He was a perfect addition to our crawfish patio party! Dan played at our wedding reception at Times Ten Cellars in Fort Worth. It was absolutely a blast. We had many compliments on the music and still have people asking for Dan's contact information. Not only is Dan quite the entertainer, he knows how to work the event. Our evening started easy and quiet as people arrived and ate dinner. But, as things progressed, the dance floor was full of energy. I would recommend Dan Quinn to anyone for any event. Thanks Dan for making our wedding reception spectacular. I've had the pleasure of seeing Dan perform at many venues over the years, and I was lucky enough to get him to play at my wedding.  If you are struggling to decide between a DJ and a live band, it's a no brainer to go with DQB. He really made my wedding awesome. Not only did he do some amazing acoustic stuff for cocktail hour and dinner, but he got the party started and had everyone dancing later in the night. Trust me, all the ladies will be on the dance floor! I got married in October 2012 and my friends still ask about the "guy with the great voice". You will not be disappointed! The Dan Quinn Band was so awesome at our 10th Annual Festivus Party for the Beal Law Firm. We put on the Festivus party each holiday season to thank our fellow attorneys, mediators, friends, clients and employees. Dan was unbelievably professional and entertaining! His turn-key set up added a wonderful ambiance to our party with his own lighting and star pizzazz. Our female party goers really, really enjoyed watching him! This year was the biggest and best party yet with over 90 attendees. Dan kept everyone entertained all night long! Dan will be a staple at all of our future parties!